In a collaborative effort, Pro-Visual Publishing and the National Rail Safety Regulator have recently released their up-to-date Rail Industry Guide to Safety 2014/15. This year’s guide aims to inform all rail industry members of the ONRSR’s current plans for keeping safety a high priority and how they are continually improving rail safety. The ONRSR has highlighted two of their strategies to improve rail safety which cover the development of a national rail safety risk model and a national rail safety incident database. They have also included their current safety improvement programmes that are already in place. In addition, this year’s guide suggests ways in which everyone has a role to play towards rail safety, five key parts to effective rail safety management and information on Safety Management Systems. Furthermore, there is also advice on what to expect when a Rail Safety Officer visits an accredited Rail Transport Officer. 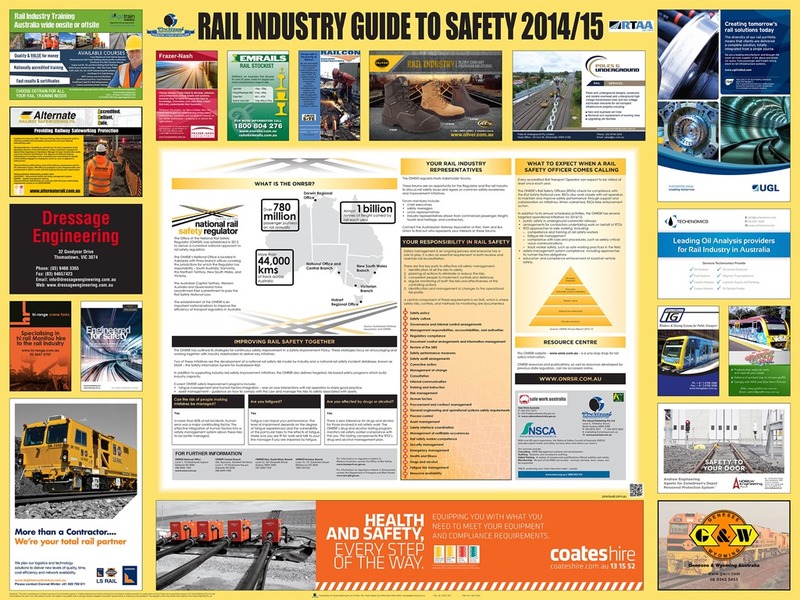 “I would like to thank all of the sponsors of the Rail Industry Guide to Safety 2014/15. Their support has made it possible for the guide to be distributed free of charge”, said John Hutchings, CEO, Pro-Visual Publishing.